Custom Store Home Page, Custom Logo, Invoice Logo, Profile Page Logo. 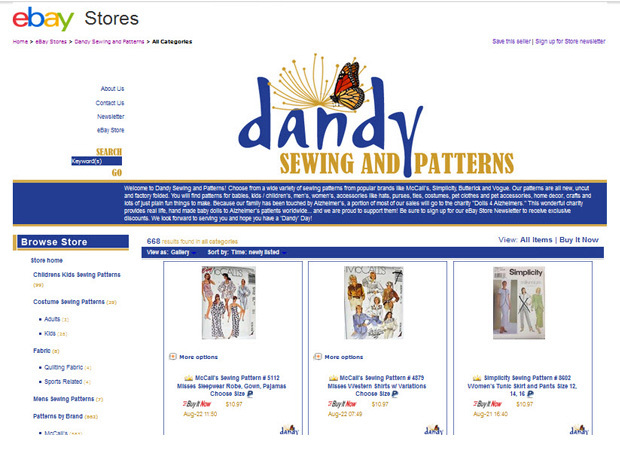 This is one of our own eBay Stores where we feature sewing patterns, fabric and all things related to sewing. We wanted a clean, contemporary site that carried our brand of the Dandelion and Butterfly.